A friend of mine asked me to come up with a baby shower favor. There wasn't a theme to the shower and we didn't know the gender so I didn't have too much to go on. But, as I was brainstorming generic baby phrases like "pea in a pod"... a light bulb went off when I came to "Bundle of Joy." Everyone is coming together to celebrate the mom-to-be's new bundle of joy... why not send guests home with a bundle of joy of their own–in the form of cute gifts they unwrap on their own? Cute, right?! Luckily, my friend loved the idea. Since this is a friend who lives in a different state, I photographed a tutorial for her, and am now happy to share it with you! 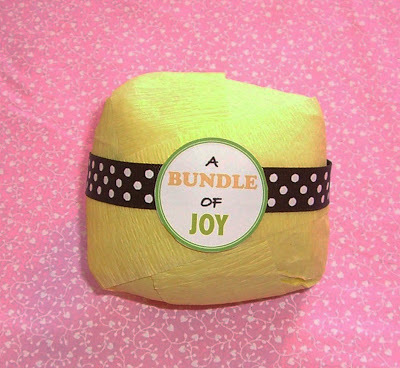 Bundle of Joy printable. DOWNLOAD PRINTABLE HERE. Different colors and sizes provided on the PDF. Put your two small prizes in the ornament ball and close. Completely wrap the ball with your first crepe color. Make sure the entire ball is covered. 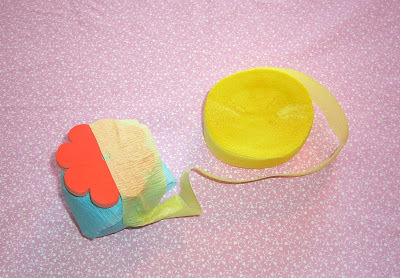 Then add another layer to smooth out the crepe paper. Add your next prize. 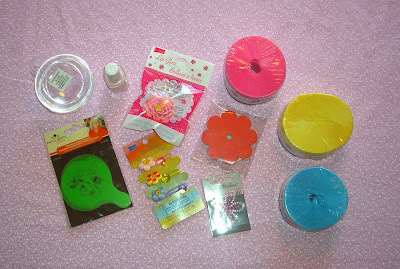 In this case, the hairbands were really easy to keep in place. Then wrap with your next color. And again, add another layer to smooth it out. One by one, add each of your prizes... you get the picture! I ended with yellow, since we didn't know the baby's gender. 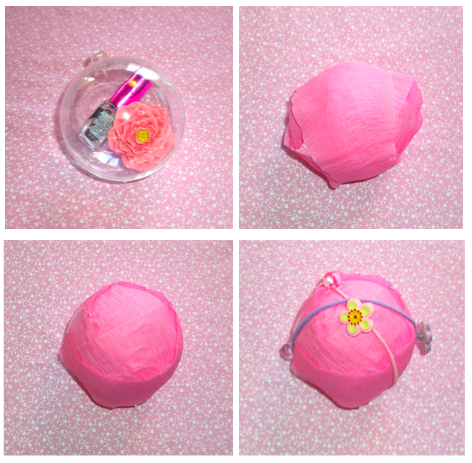 Wrap the finished ball with a pretty ribbon, securing it with double-sided tape. Print out the Bundle of Joy label, stick it on and you're done! Guests will have so much fun revealing each prize in their favor! If you need help with a favor for a party, let me know! I would love to help! Great idea! Very cute! Thanks for linking up to my Catch a Glimpse party! Always nice to see a new face! What a clever idea! I saw your link on the CSI project! Great job! Adorable! What a great idea! Thanks for sharing!